The newest print to hit the world’s stage is here. Meet the Limited Edition Omaha Nights print, part of TYR Sport’s celebrated Avictor® collection. Born out of a collaboration between the industry’s top experts and the world’s most elite swimmers, the Avictor® Omaha Nights Open Back Swimsuit is TYR’s fastest, most innovative technical swimsuit. Showcasing an unprecedented combination of advanced features, this FINA-approved technical suit maximizes performance and gives athletes the ultimate advantage over their rivals. Designed with proprietary Speed Dry Fabrication, the Avictor® Omaha Nights swimsuit rapidly repels water and minimizes dry time, providing compression even when saturated for extended periods of time. Rigorously tested to ensure athletes experience a lightweight, snug fit at all times, the Avictor® Omaha Nights swimsuit performs throughout long meets and multiple swims, providing unmatched comfort and support. Engineered for competition, the Fusion 2 Aeroback Short John uses some of the most advanced aquatic engineering to ever enter a pool. Showcasing hydrophobic construction and low-profile flatlock stitching, the Fusion 2 Short John reduces drag for maximized performance in the water. Combined with tried-and-true innovations like Fabrication Logic and Fluid Channel Dynamics, Fusion 2 speed suits allow for superior flow, while calenderized Isolated Compression technology provides more glide efficiency and increased speed. It’s what happens when the past and the future meet at the swim lab. TYR Fabrication:79% Polyester / 21% LYCRA ® Fiber. Engineered for competition, the Fusion 2 Powerback Swimsuit uses some of the most advanced aquatic engineering to ever enter a pool. Showcasing hydrophobic construction and low-profile flatlock stitching, the Fusion 2 Powerback reduces drag for maximized performance in the water. Combined with tried-and-true innovations like Fabrication Logic and Fluid Channel Dynamics, Fusion 2 speed suits allow for superior flow, while calenderized Isolated Compression technology provides more glide efficiency and increased speed. It’s what happens when the past and the future meet at the swim lab. TYR Fabrication:79% Polyester / 21% LYCRA® Fiber . Designed to help you achieve your best swim, the Thresher Baja Open Back showcases a combination of innovative features. With embedded hydrophobic fiber this FINA-approved technical suit maximizes performance by reducing drag in the water. Increasing the speed and efficiency of every swimmer, the Thresher’s advanced level of compression helps to maximize core stabilization and support. 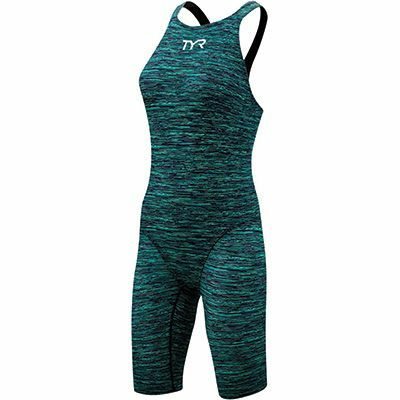 Push performance to the limit in the TYR Women’s Thresher Open Back Swimsuit. Designed to help you achieve your best swim, the Thresher Open Back Swimsuit showcases a combination of innovative features. With embedded hydrophobic fiber this FINA-approved technical suit maximizes performance by reducing drag in the water. Increasing the speed and efficiency of every swimmer, the Thresher’s advanced level of compression helps to maximize core stabilization and support. Engineered, tested and manufactured in America to outperform on the world stage, the Tracer B Aeroback is built for elite-level racing. Showcasing High Bonded Micro-Taped Seams the Tracer B Speed Suit is constructed without sewing or threads, to provide unsurpassed drag reduction and a smooth, seamless transition from skin to fabric. Aeroback construction and Range of Motion Straps allow for fluidity and explosiveness in the water, while an industry exclusive Five-Piece Muscle Mapped Pattern follows the natural contours of the body for superior fit and support. Featuring lightweight, hydrophobic quick-drying fabrication and enhanced stretch properties, the Tracer-B Aeroback provides memory retention to promote longevity and form-fit. Combined with 4-Way Lock Seams and intricately designed around the human musculature, the Tracer B-Series Swimsuit locks the core in (with up to a 25% increase in zoned compression),decreasing body circumference by up to 5% and helping to improve blood flow and re-oxygenation of muscles. TYR Fabrication:79% Nylon / 21% LYCRA® Fiber. Engineered, tested and manufactured in America to outperform on the world stage, the Tracer B Short John is built for elite-level racing. Showcasing High Bonded Micro-Taped Seams the Tracer B Speed Suit is constructed without sewing or threads, to provide unsurpassed drag reduction and a smooth, seamless transition from skin to fabric. Aeroback construction and Range of Motion Straps allow for fluidity and explosiveness in the water, while an industry exclusive Five-Piece Muscle Mapped Pattern follows the natural contours of the body for superior fit and support. Featuring lightweight, hydrophobic quick-drying fabrication and enhanced stretch properties, the Tracer-B Short John provides memory retention to promote longevity and form-fit. Combined with 4-Way Lock Seams and intricately designed around the human musculature, the Tracer B-Series Swimsuit locks the core in (with up to a 25% increase in zoned compression),decreasing body circumference by up to 5% and helping to improve blood flow and re-oxygenation of muscles. 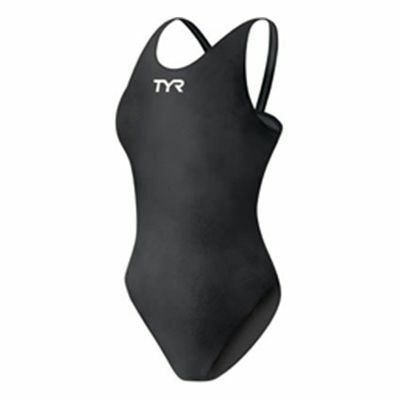 TYR Fabrication:79% Nylon / 21% Lycra ® Fiber.